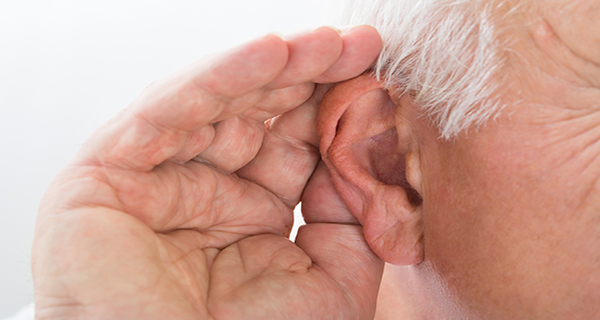 Sudden Hearing Loss – What Does it Mean and How is it Treated? Some sufferers wake up one morning to discover that one or both of their ears are unable to pick up audio information. For others, this rapid loss of hearing can unfold over the course of several excruciating days. Either way, the condition can be terrifying. Sudden hearing loss can also be life-disrupting. But if you’ve recently lost partial or full hearing, don’t panic just yet. In this post, we’ll explore what causes this medical condition – and how best to treat it. Also known as sudden sensorineural hearing loss (SSNHL), this condition is usually defined as a sudden loss of 30 decibels or more across 3 contiguous frequencies. Infections – especially in the upper respiratory tract. Certain neurological or immunologic diseases. Circulatory complications in the inner ear. Exposure to various toxins or medications. Rapid changes in altitude (like when flying). Sudden hearing loss typically affects just one ear. But in rare cases, the condition can manifest in both at the same time. Tinnitus – i.e. a loud, persistent ringing in one or both of one’s ears. Vertigo – i.e. dizziness stemming from imbalances in the inner ear. On average, sudden hearing loss affects approximately 20 out of every 100,000 individuals, with female and male sufferers represented equally. In just the United States alone, there are nearly 4,000 new cases every year. What Is the Most Effective Treatment for Sudden Hearing Loss? Because sudden hearing loss is a relatively rare condition, there hasn’t been enough medical research into this field. The good news is that up to 80% of all sufferers recover within just 2 weeks – without needing any medical attention. The bad news is that delayed intervention can actually make the condition permanent for the remaining 20% of sufferers. And thus, it’s best not to wait. Early diagnosis and ongoing monitoring offer the best chances of enjoying a full recovery. So if you ever notice a drastic or rapid loss of hearing, it is vitally important that you receive an evaluation from a qualified audiologist – as quickly as possible. Currently, there are no evidence-based treatments for sudden hearing loss that work in all situations. Which approach to use ultimately depends on the cause and severity of the condition – both of which vary from patient to patient. But for optimal results, we conduct a full diagnostic screening for all of our patients. And based on our findings, we may refer you to an Ears, Nose, and Throat (ENT) specialist for an additional consultation. Thereafter, both our in-house audiologist and your ENT will closely monitor your progress together. Are You Suffering from Sudden Hearing Loss? If you’ve noticed any recent, rapid changes in your hearing ability, don’t delay. The sooner you receive medical attention, the better your chances of making a full recovery. At The Hearing Solution, our team stands ready to guide you through this process. After conducting a thorough evaluation of your hearing capabilities, we’ll map out a personalized treatment plan. And if you need to consult with ENT specialists, we can also provide you with the necessary referrals to help expedite the process. To have your hearing tested today, fill out our contact form or call us directly at 916-646-2471.